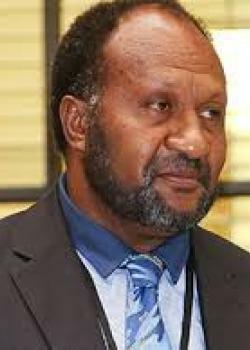 The office of the Prime Minister says a marine scientific research exhibition is currently being undertaken in Vanuatu waters without prior consent of the Vanuatu Government. The government says the marine scientific team is led by the Auckland Museum and comprises various scientists from New Zealand and Australia. The New Zealand Flagged Vessel, RV Braveheart, is the vessel used for the marine scientific exhibition which begins from Wole pole in New Caledonia to Hunter Island in Vanuatu, then to Fiji waters and then back to New Zealand, the Vanuatu Government revealed. It has been claimed that none of the scientists in the exhibition nor the captain of the vessel were aware that waters around and including Mathew and Hunter islands are undergoing a lengthy dispute over France’s claim over the two islands. “Under UNCLOS, a request for marine scientific research must be submitted to the concerned coastal state six months prior to the actual research being undertaken in their waters. “The NZ team opted then to seek consent from the French Government via the New Caledonia Government and were given approval let alone marine scientific research in a disputed area. “In the last six months the governments of New Caledonia and Vanuatu have been in discussions over boundary issues between the two states, strengthening their relationships through development programs and marine scientific research. “Vanuatu’s position was to sort out all boundary issues prior to any form of agreement with New Caledonia for any marine scientific research in our waters. “We are being reminded again of the 1983 treaty which France and Fiji signed without the knowledge and consent of the Vanuatu Government claiming that Mathew and Hunter Island are within French Waters. A claim that fail to respect the Melanesian Value of the people of Melanesia. Our Pacific neighbors must understand our issues and challenges when it comes to such sensitive issues and not take unilateral decisions that will undermine our efforts to find amicable solutions. “The Office of Prime Minister wishes to express its disappointment on the way in which important matters relating to sovereignty of our nations have not been respected especially regarding ongoing efforts to resolve these sovereign issues. “The Government is now addressing at the highest level with the respective Governments of New Caledonia and New Zealand. The UN will be also informed on this matter,” the Office of the Prime Minister said in a statement.